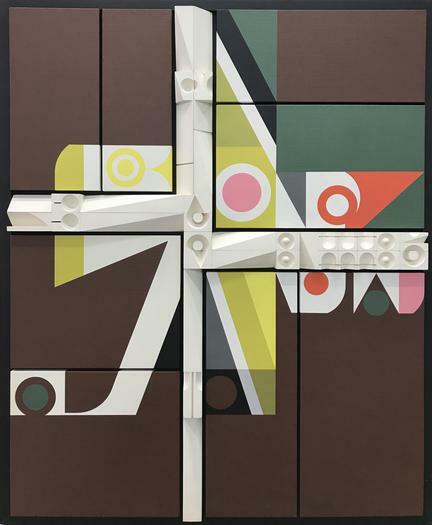 DRISCOLL BABCOCK GALLERIES is pleased to present ABE AJAY: ALPHABET. Ajay (1919-1998) was an artist who reveled in precision and intricacy. He often described his dialogue with imagery as rooted in an “Alphabet” of shapes and forms. Those shapes and forms initially derived from found objects, but soon matured into three dimensional objects of his own design that he organized to construct his sculpture. Ajay created combines to exacting standards – utilizing his foundation in graphic design and commercial art to distill the interplay of control, intuition, and accident. This exhibition traces his patterns of movement through that alphabet, a conversation with his own thoughts and a consideration of the infinite possibilities hidden within finite variables. Ajay’s art was an evolving experiment in expressing perfect interrelationships of shape, color and form. A first-generation child of Syrian immigrants, he took to art making as a child, became a graphic designer, and then established his studio in Bethel, CT. 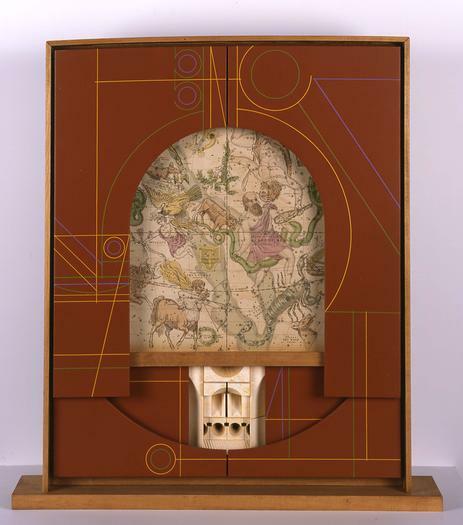 He began by employing industrial cigar molds and other found objects in his works, but soon turned to carving and cutting his own abstract wooden shapes for assemblage. 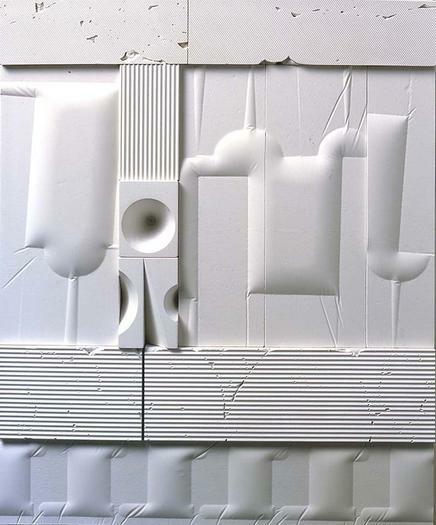 Ajay also cast polyester resin into pure white forms, combining shaped canvases, resin casts, and objects he designed – his “Alphabet.” In the last decade of his life he painted on paper and then cut or ripped the paper and assembled pieces to create intricate and emotionally charged collages. This exhibition features a selection of masterworks from the vital 1960’s and 70’s when Ajay established his national presence. 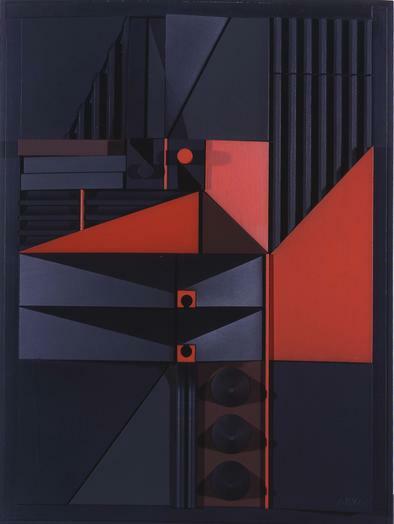 Ajay’s use of carefully designed forms and color arrangements, Louise Nevelson’s black and/or white found object compositions, and his near neighbor Alexander Calder’s lyrical mobiles and stabiles proved to be vital counterpoints to each other. Ajay also carried on what became a controversial published debate with Ad Reinhardt in ARTnews. Irving Sandler, writing in ARTS Magazine in response to a 1977 Ajay exhibition, described his works as “half-discovered, half invented…a private, poetic vision….” While these ruminations on his alphabet were indeed Ajay’s “private visions” of infinite geometric possibilities, they also function as universal reminders of our own connections to the rigid and organic forms that populate our lives and inner landscapes.